It is a statistic that is gaining traction all over the headlines: according to a recent survey, there is an increase in women paying alimony and child support within the last three years, perhaps because more and more women are becoming the primary provider in their family. In addition, the new tax law is also having its effect: under it, alimony payments are no longer tax-deductible, which has created a lot of uncertainty in the area, and taken away the one palatable aspect of paying alimony. As a result, many attorneys are now advising couples to iron out a prenuptial agreement, but that prenuptial agreement also needs to be carefully crafted, as courts will now have to consider how the law has changed regarding alimony payments no longer being tax-deductible. 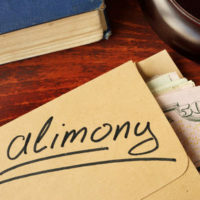 Alimony was long-ago labeled “gender-neutral,” which means that if women were the breadwinners in their marriage, they would be faced with paying support after divorce. That appears to be where the trend is heading: According to the PEW Research Center, today’s mothers are the primary breadwinners in four out of 10 U.S. families. Although many couples are now likely tempted to amend their agreements, this move could likely be dangerous, particularly if they are currently in a happy marriage. Ultimately, the tax change will not only likely hurt alimony recipients, but will make splitting up altogether more acrimonious, as individuals walking away from marriage will be more likely to experience resentment and anger at having to make these payments. Still, a couple working honestly and openly with each other to work out a prenuptial agreement is the best way to avoid unfortunate surprises and a lifetime of resentment later on. As opposed to seeing it as a contract governing trust, many see it as an educational lesson in helping each person understand what their rights are. In Florida, alimony payments are not presumed; rather, one individual has to request that alimony payments be included, and prove that they not only need those payments, but that the other party has the funds to pay them. This arguably sets up alimony payments to already be more heavily contested. If alimony is an issue in your divorce, contact our experienced Broward County divorce attorneys at Trachman & Ballot-Lena, P.A. to discuss the issue and help ensure that you are as protected as possible in moving forward.